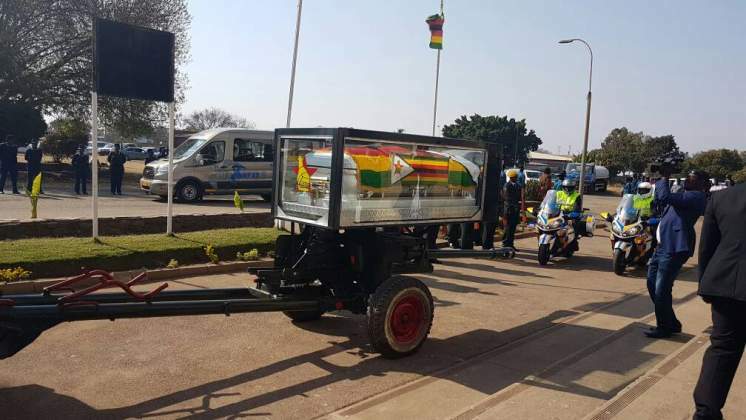 Masvingo Provincial Affairs Minister Senator Shuvai Mahofa, who died last Sunday, will be buried at the National Heroes' Acre on today (Sunday). Mahofa died at Makurira Memorial Clinic after battling poor health for a long time. She was 76. 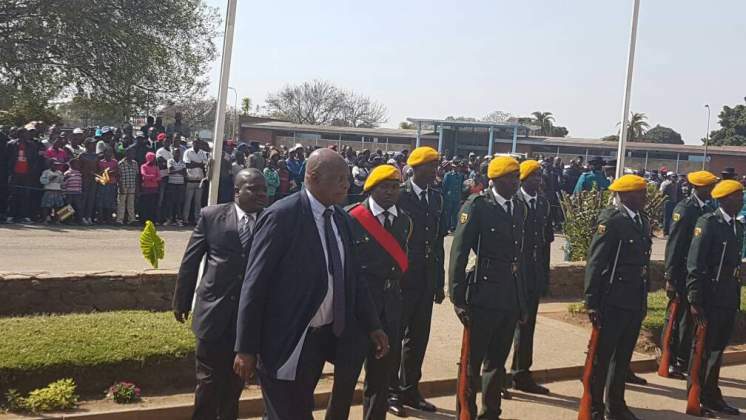 Vice President Mphoko is now leading in the laying of wreaths at Cde Mahofa's final resting place. 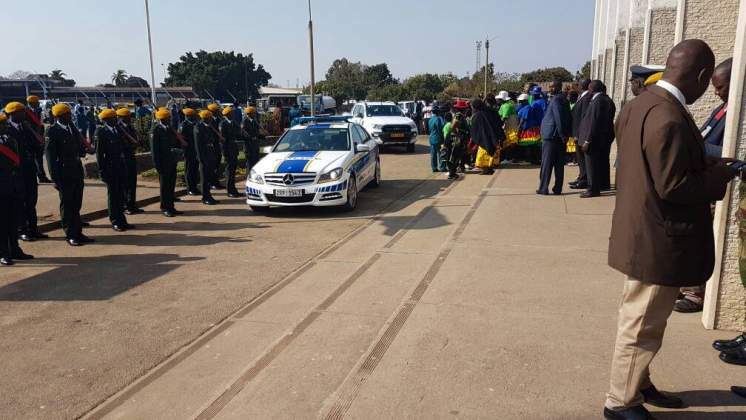 Pall bearers are now taking the body of Cde Mahofa to its final resting place. Mphoko said: "Well done daughter of the soil you played your part during your productive life. Go well mother of the soil. Hamba kahle! Qawe lamaqawe! Fambai zvakanaka!". Cde Mahofa became a war collaborator in the 1970s in Masvingo. Being a war collaborator demanded as much courage, bravery, discipline, and vision as a trained guerilla combatant. 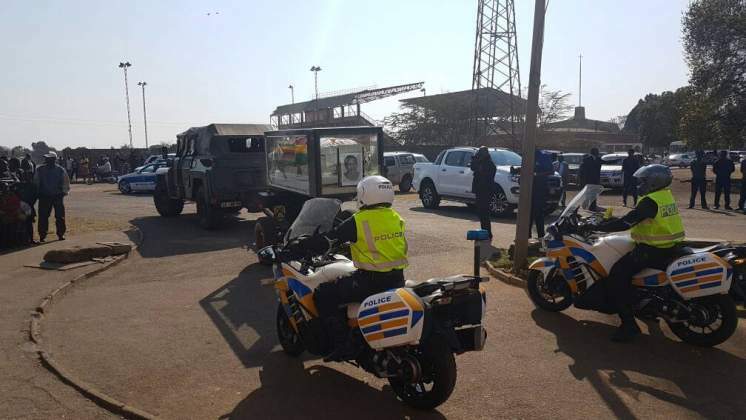 She worked in cahoots with the late Dr Simon Muzorewa to ensure that medical provision, clothes, food and other accessories were received in the war front. VP Mphoko chronicles the journey travelled by Cde Mahofa in politics from as far back as 1959. On behalf of the people of Zimbabwe, VP Mphoko has expressed his heartfelt condolences to the Mahofa family on this sad loss. "As many of us are aware, she has not been well for some time but she was showing positive signs of good recovery to the extent that she was participating very actively in all of her party and government activities with her usual zeal and enthusiasm she was known for." "We are gathered here to lay to rest a gallant daughter of the soil. 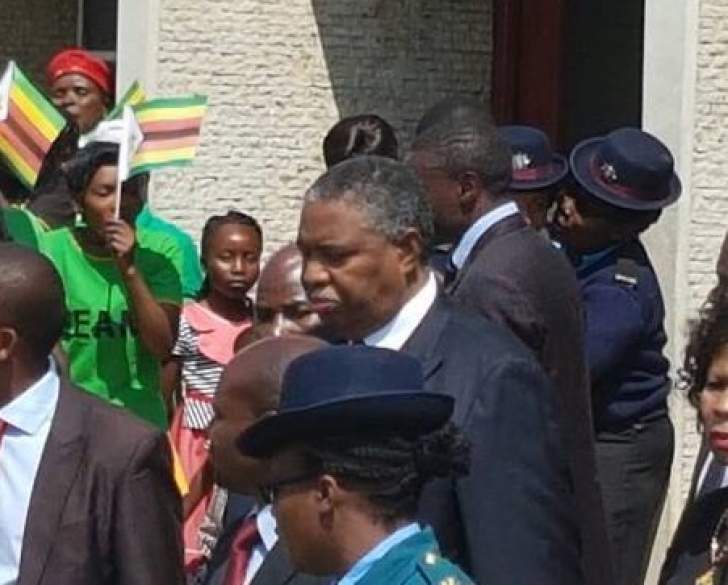 Mwana wevhu/umtwanenhlabathi," says VP Mphoko. As he concludes his speech and leaves the podium to take his seat, the Public Address system thunders with Reverend Chivaviro's Ebenezer song. 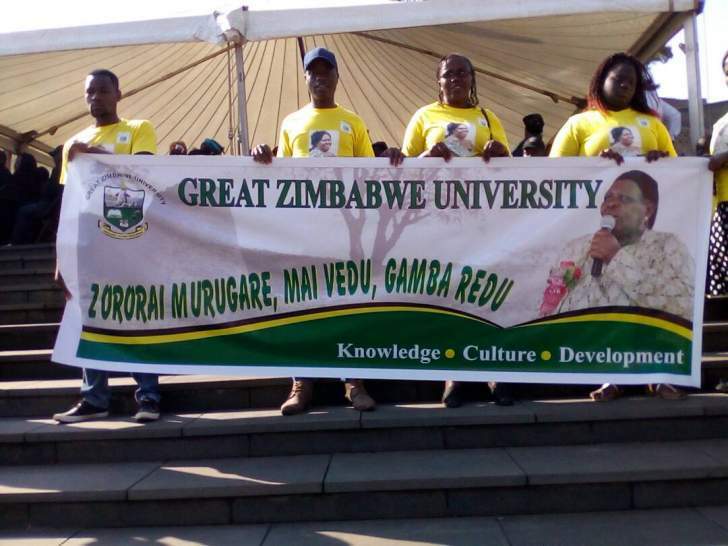 Chivaviro is the late Cde Shuvai Mahofa's maiden name. Cde Mahofa joined politics in 1963 and never looked back in fighting for the liberation of this country. At independence, she was elected Councillor for Tirizi Ward 20. Hubert says his grandmother's commitment to serving the party has never been questionable. She served as deputy ministers in several portfolios. 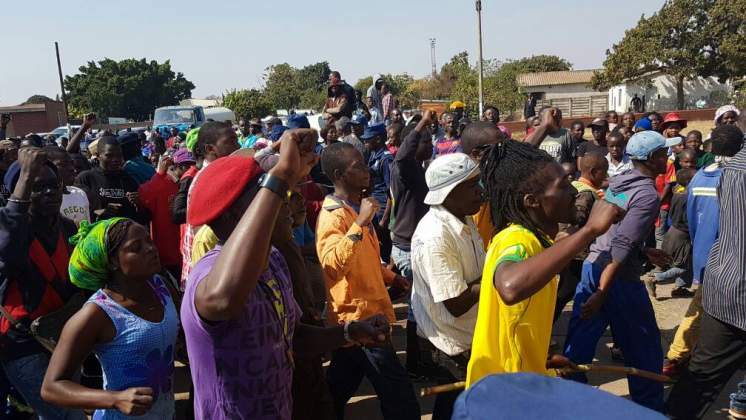 According to Hubert, Cde Mahofa was a Barcelona FC fan who adored Lionel Messi and also a huge fan of his niece, Reverend Chivaviro of the Ebenezer hit song. 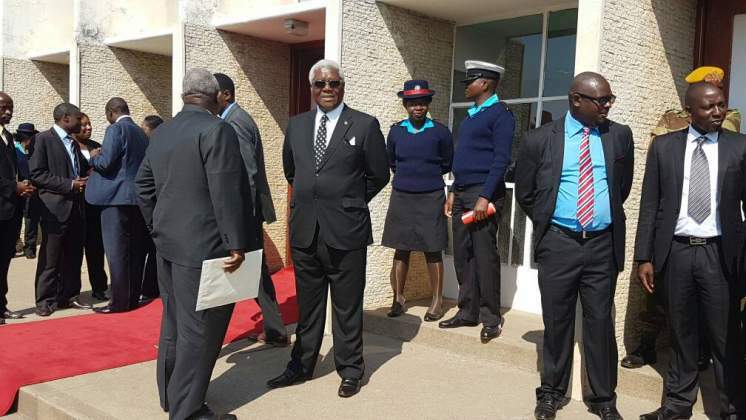 Dr Chombo has invited a representative of the Mahofa family to address mourners. Hubert Mahofa, grandson to the late Cde Mahofa thanks everyone who made time to bid farewell to his grandmother. 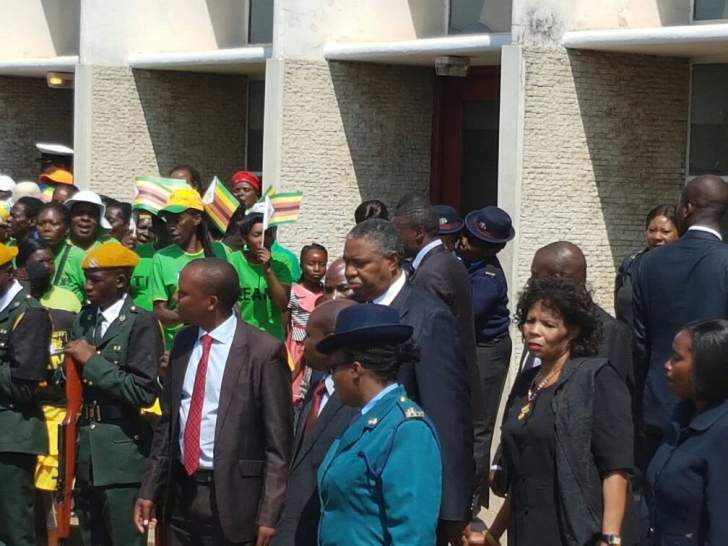 He thanks President Mugabe for bestowing heroine's status to Cde Shuvai Mahofa. 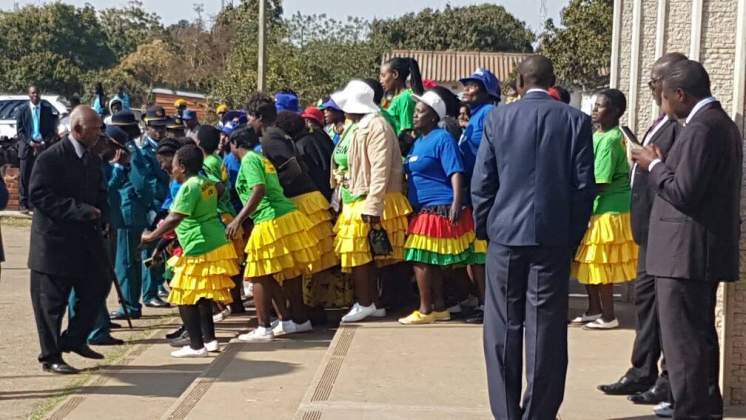 Hubert Mahofa chronicles Cde Shuvai Mahofa's life narrating her journey from birth, schools she attended, marriage and courses she did as she grew up. Today's scripture comes from Revelations 14 verse 13 and it goes like: I heard the voice from heaven saying, "Write, ‘Blessed are the dead who die in the Lord from now on.'" "Yes," says the Spirit, "that they may rest from their labors; for their works follow. The Reverend says he has no doubt that Cde Mahofa died in the Lord and as such, her good works follow her and speak volumes. He starts by thanking President Mugabe, the ruling party Zanu PF and the government for bestowing the national hero status upon Mahofa. The Mahofa family representative, Hubert Mahofa the grandson of the late national hero Cde Mahofa is now giving his speech. A choir is now entertaining mourners here. Reverend Dr Mutsotso is now on the podium. Director of ceremonies and Home Affairs Minister, Dr Ignatious Chombo is now on the podium and has invited Reverend Dr Rangarirai Mutsotso of the Reformed Church in Zimbabwe to lead with the prayer. The body of the late national heroine is now placed on the tomb of the unknown soldier. 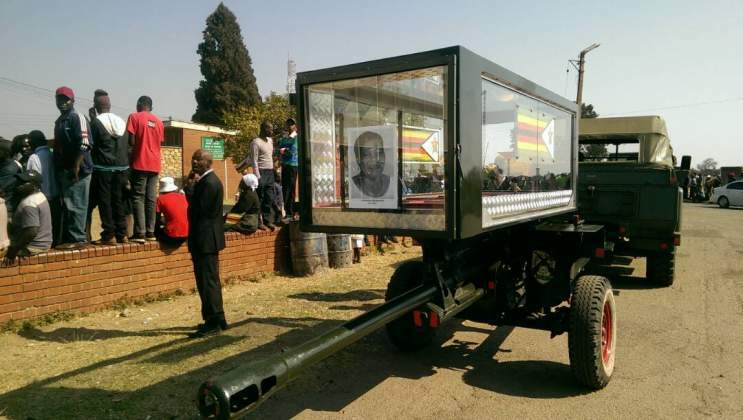 The body of Mahofa has arrived at the National Heroes Acre in the capital. Vice President Phelekezela Mphoko is now leads the body viewing ceremony. 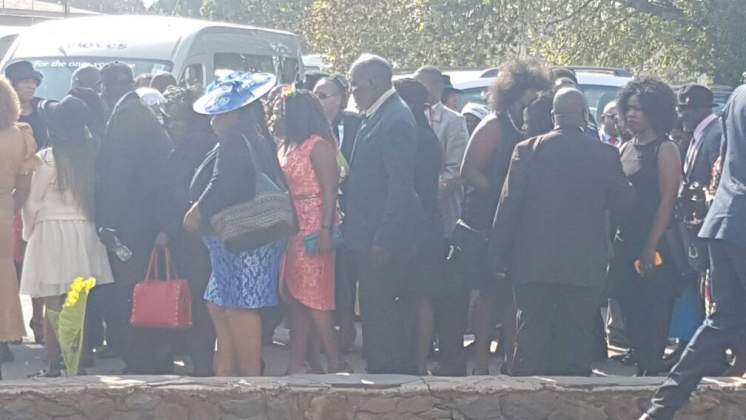 Some senior government officials and ministers follow proceedings here awaiting the body viewing ceremony of the late national heroine Cde Shuvai Ben Mahofa. Letina Undenge who is wife to Energy and Power Development Minister, Dr Samuel Undege has arrived. 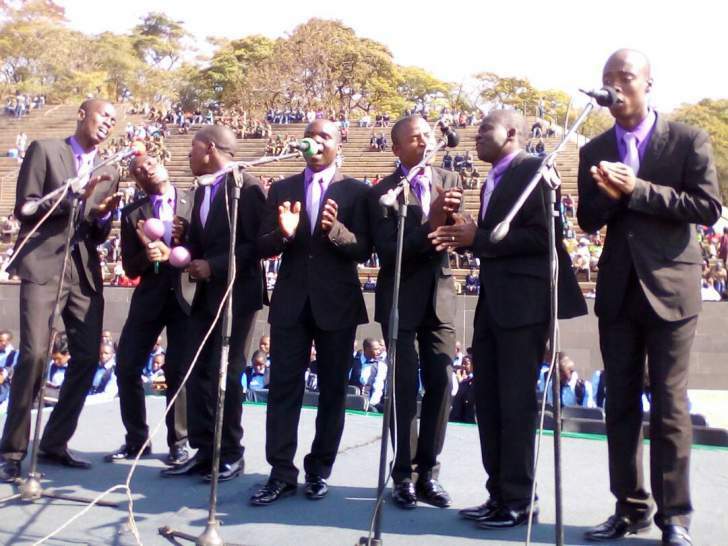 The police band and Reverend Togarepi Chivaviro set the stage alight with their performances. Speaker of parliament, Advocate Jacob Mudenda and his deputy Marble Chinomona are also here. 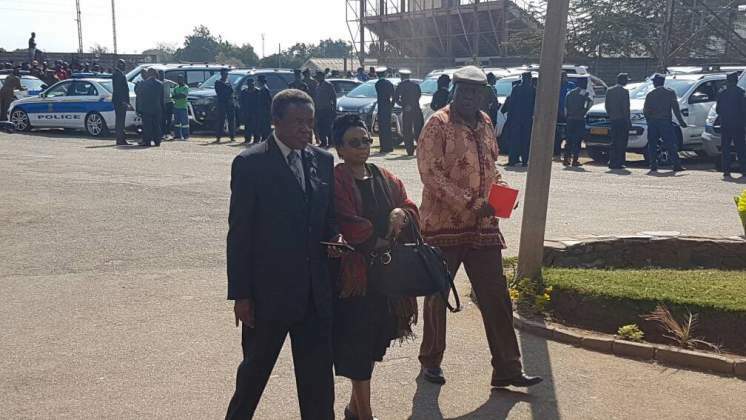 Among the dignitaries so far Chief Charumbira, and Minister of Environment, Water and Climate, Oppah Muchinguri-Kashiri have arrived here at the Stodart Hall in Mbare. 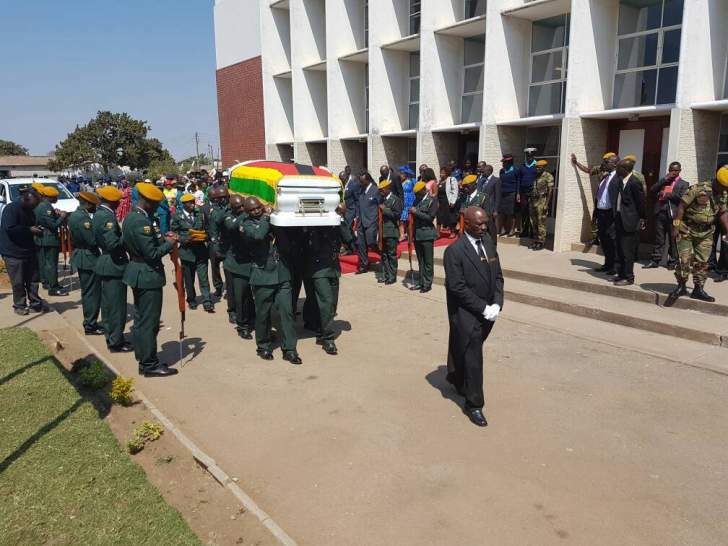 The body of the late national heroine Shuvai Ben Mahofa has arrived at the Stodart Hall in Mbare.